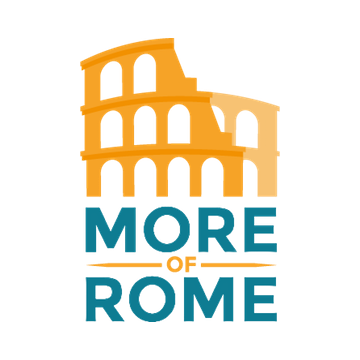 Early birds and photographers, do not miss the opportunity to visit the world-famous, Roman monuments without crowds on this 90-minute Sunrise in Rome Morning Walking Tour. Beat the heat and the crowds and explore stunning sites with your small group (maximum 8 people) and professional tour-guide. 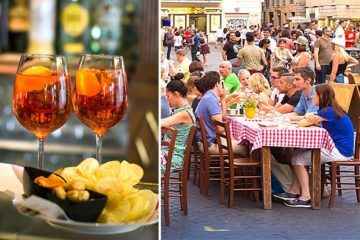 Uncover the most magical places in the heart of the Eternal City, admire panoramic views of Rome, and to end the tour, try an amazing cappuccino or espresso at the most famous Roman coffee shop. 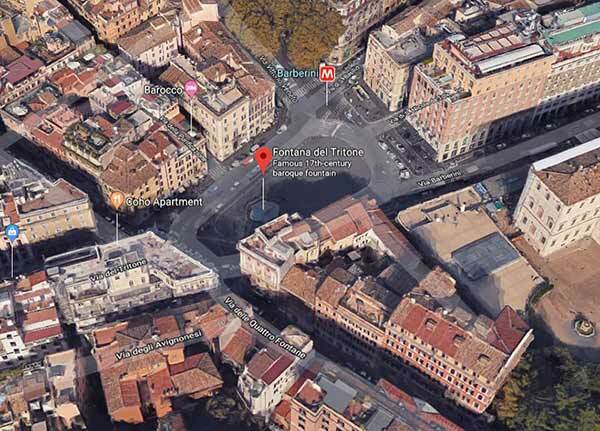 The designated meeting point for this morning walking tour of Rome is Piazza Barberini, your guide will be waiting for you at the Fontana del Tritone (Triton Fountain) in the center of Barberini Square (Barberini Metro, Line A). The meeting time for this walking tour is 6:45am, the tour will commence around 7:00am, after a brief check-in. 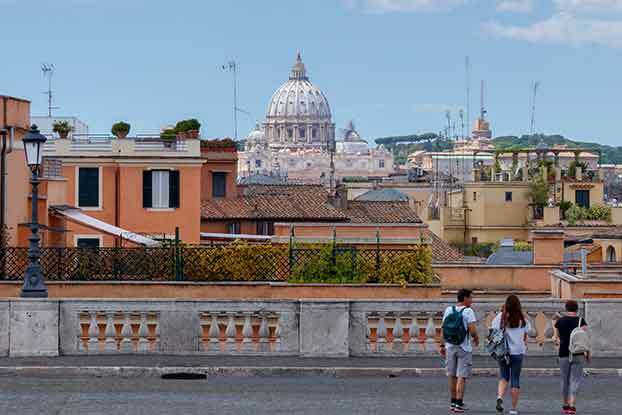 On this walking tour of Rome, you will visit the most famous and awe-inspiring piazzas, fountains and temples of Rome. You will have great photo opportunities and up-close and personal experience with the monuments like Trevi Fountain, Presidential Palace and Quirinal Hill, Pantheon and Piazza Navona. The walking tour will last 90 minutes (approximately) in which you will cross the heart of Rome, and visit Piazza Barberini, walk around the Presidential Palace, enjoy the best views of the Vatican from the top of Quirinal Hill, have one-on-one experience with Trevi Fountain, meet the elephant in Piazza Minerva, see the Pantheon in all it’s glory, have the best coffee in Rome at the ancient coffee shop, and finally finish Rome Morning Walking Tour in the most beautiful square in the world – Piazza Navona. The meeting point for the morning walking tour of Rome. Your guide will be waiting in the center of the Piazza Barberini, near the fountain. The meeting point was very easy to find, check-in was very fast given the number of people in the group. The guide was a delight, young Italian lady, who turned out to be an art-historian. Couldn’t ask for a better tour. Thank you Margherita! This was the highlight of our entire stay in Rome! Dmitri, our guide, was just fabulous, so full of knowledge and useful information about things in general. My tip is to start your stay with this tour and ask for Dmitri! You gotta wake up early for that one, but it’s sooo worth it! No crazy Roman traffic, no selfie-stick vendors, no crowds. We are grandparents in our 70’s, both amateur photographers, and we loved this experience. The streets were quiet and empty, and we got really lucky with the weather. The guide was very friendly and professional. We took the most wonderful photos on this tour! Rome is so stunning at dawn. My partner and I loved it! It’s worth waking up early! 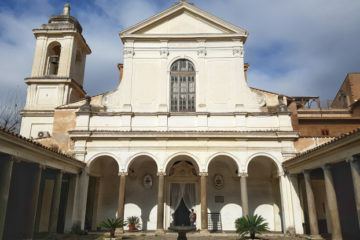 We had so many tours in Rome, but it’s the first time that we had a small group tour, and it was amazing. The guide, nice Italian gentleman, was very knowledgeable and helpful, he answered all questions and showed us places that we would have never found on our own. It was just us and two more couples, almost like a private tour, so we had enough time to take photos and ask questions. Even though it’s a bit pricey (almost $60 per person) it’s worth every penny!